Theatre 'The Heroic Tale of Edith Cavell during the First World War'. Julie Thursham is a professional Actress based in the midlands, but works across the country. She trained at the Birmingham Theatre School in 1994 . Since then she has worked with various Theatre Companies and Independent Film Companies. Julie has recently been playing Beatrix Potter in 'The Tales of Beatrix Potter' , a performed adaption of Beatrix Potter's Tales at The Story Steps space for Birmingham Central Library Event to launch the Summer National Reading Challenge 2017 . 'The Tales of Beatrix Potter' were also performed in November 2016 for Warwickshire Libraries for the Anniversary of Beatrix Potter's Birth. In Spring 2017 Julie worked on the ''The Birthday Card' playing the role of Lucy, a short film directed by Claudia Vicente, produced by Auzair Razak.. 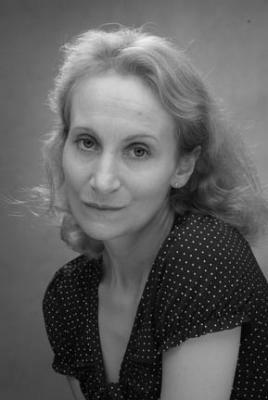 In 2016 Julie performed the 'The Story of Lady Dorothie Feilding' , playing the Role of Lady Dorothie Feilding for Morley Arts Festival Leeds and Derby National Trust . She also performed 'Inspired Tales - Celebrating Roald Dahl ' for Derbyshire Libraries as part of the Summer National Reading Challenge 2016. In 2015 she performed 'Edith Cavell Story' playing the Role of Edith Cavell, for Morley Arts Festival Leeds, Rugby and at The Curve Auditorium Norwich as part of their Commemoration to Edith Cavell's death in 1915. In December 2014 she performed in a new play written and directed by Frank Bramwell 'One Christmas Eve' with Theatre of the Quarter playing the role of Betty from Dublin set in 1970's Birmingham. During 2014 she has been Performing : 'The Heroic Tales of Women during the First World War' - The Tale of Edith Cavell in the regions, and 'The Story of Lady Dorothie Feilding' in Rugby. In 2013 she performed the 'Jane Austen's Tales - 'Pride and Prejudice' for the Literally Coventry Book Festival 2013 at Theatre Absolute Shop Front theatre, Leamington Spa, and Nottingham Light Night Event Literary Festival February 2013 and Derby. In The film 'RETURN' she played the role of Cathy, directed by Haqi Ali, with Stoned Pony Productions. 'Julie Thursham show reel' you tube from the film. She also has been a Storyteller, under the name of Julie Ann Cooper since 2007, working in the regions , performing infront of various audiences, from children to adults. She set up Intimate Production in 2007 (J.A.C's Intimate Productions 2012)to bring Dramatic Storytelling to various Audiences and age groups. She produces and performs her own shows as well as being hired and working for various organisations and working to their Itinerary and Proposals. Julie has also been hired by organisations and private companies as a Role Player for Training in the Teaching of effective Communication Skills, and also for Exams and Assessments since 2005. She also is hired for Voice Over and Audio Recording by private companies .